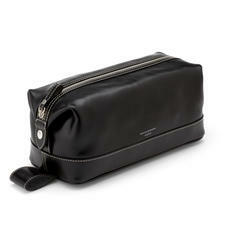 Our men's toiletry and wash bags are staple items for any gentleman with travel on the agenda. 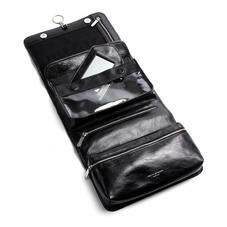 Offering abundant storage yet compact dimensions, they are the ideal accompaniment to our range of travel accessories. Handcrafted from high quality Italian calf leather, wipeable lining, protective feet and sturdy zips and clasps offer practicality to complement the timeless style. Spacious compartments and handy pockets provide ample room for your shaving and toiletry essentials. 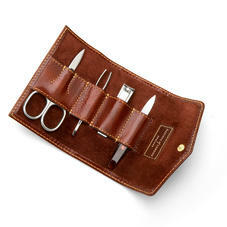 To extend the luxury, explore our leather travel wallets. The Aspinal range of Men's Toiletry and Wash Bags are undeniably masculine and the must-have accessory for every gent whilst travelling. All handmade from the finest Italian calf leather, our range of Toiletry & Wash Bags for men are available in three distinct styles. 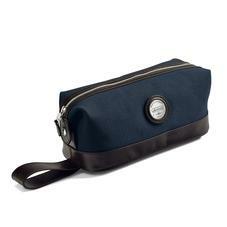 Our Mens Hanging Wash Bag has an abundance of innovative compartmental storage space allowing the wash bag to hang open proudly from a wardrobe, shower rail or door hook. 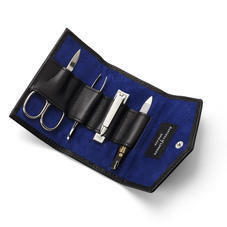 Our Travel Toiletry Pack which will make the ideal travel companion for carrying toiletry essentials on long haul flights or overnight trips. 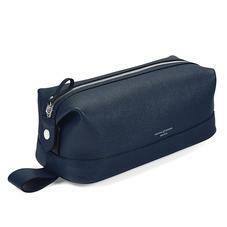 And finally, our classic Men's Wash Bag whose spacious interior will easily accommodate all of your shaving and toiletry essentials.